The enclosed shopping mall can trace its roots to the Palais Royal in Paris or the Oxford Covered Market in England, which both predate 1800. It was not, however, until the 19th century where the true arcade took form throughout Europe. Glass skylight allowed for the symmetrical steetscape to provide covered pedestrian passages where trade could occur, protected by the outside elements of nature. Regarded now as the first fully enclosed shopping center [Southdale Center] with two department stores as its “anchors”—perhaps without truly understanding its eternal impact, in 1956 the modern mall was born in Edina, Minnesota, replacing open-air retail centers as the premier shopping destination in America. The era of malls in the United States lasted from the 1950’s well into the 1980’s, where the market became oversaturated. Embarking on a decade into the 21st century, the construction of new malls in America is almost non-existent. The regional mall and super regional malls are now being constructed elsewhere. Asia and The United Arab Emirates are now home to the largest malls in the world. Supermarkets, Hypermarkets, IMAX theaters are just the tip of the iceberg. Aquariums, theme parks, indoor Olympic sized skating rinks and interior ski slopes have become entertainment venues in malls which at current proposal exceed over 10 million square feet. 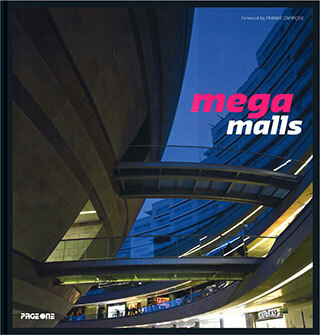 The new mall is a mall within a mall, but the premise remains the same – an indoor environment where trade can occur.